Unsurprisingly, more and more people are turning to digital services to consume their news. In fact, according to media analytics company Vividata, 48 percent of Canadians who read newspapers do so with mobile devices. Furthermore, 18 percent of these Canadians read their news exclusively on electronic devices (computer, mobile or otherwise). However, 62 percent of magazine readers use print, with only 8 percent using digital exclusively. Interestingly, Vividata also reports that Canadians who access news brands via mobile devices earn incomes 10 percent higher than average. As well, Vividata says these Canadians travel more often and spend more on trip overall. Finally, 72 percent of these Canadians shop online, according to Vividata. 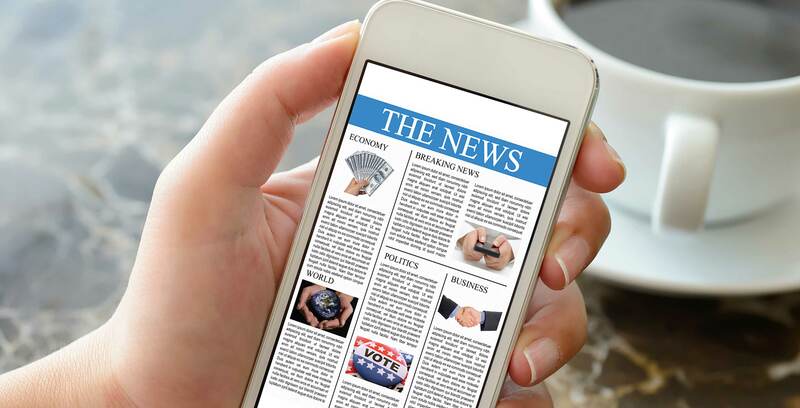 Perhaps unsurprisingly, 63 percent of Millennials have been discovering newspaper content through social media like Facebook and Twitter. Outside of news, Vivadata’s survey looked at consumer habits in a variety of categories, including personal finance and car ownership. One other statistic Vividata released that’s relevant to mobile: nearly 13 million Canadians (40 percent) accessed Netflix in the past month, while 54 percent went onto YouTube. To complete the survey, Vividata polled 43,325 Canadians (aged 12+) between October 2016 and September 2017.